Still feeling muscle soreness from my arms session, I was really surprised to find that this completely disappeared as I trained today. My session was still very hard but my arms were feeling great at the end! Day 4 at educo…….measurement day! I visited Physit and Phoebe Machin when I developed knee pain following a suddden increase in my exercise intensity. I was immediately reassured by Phoebe as she listened to my story and concerns. She spent a great deal of time assessing my knee and examining various exercises that she asked me to do. After a couple of sessions with her and some homework to do at home in the guise of various exercises and stretches, my knee felt entirely back to normal again. I was given the green light to go ahead and exercise again and I have never felt better. I truly feel that, without having attended, my knee would be problematic still and I might have given up exercise entirely. Phoebe goes the extra mile to ensure that one remains symptom free even after discharge. She even went with me to the local running shop and their treadmill to get my trainers assessed! I can not recommend Phoebe and Physit enough-thank you for everything you have done! What a marvellous team. Booked an emergency appointment – they were lovely and understanding squeezing me in on the same day I called. Melanie arrived and set up at my work, which was super convenient for me. She worked unbelievable magic, freeing me of pain. She followed up the session the following day with a call to see how I was managing and left me with some simple exercises to help avoid being in that position again. 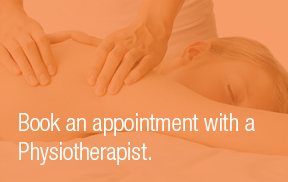 Everyone I have dealt with at Physit are super friendly and efficient – looking forward to my next appointment. I found myself in the early hours of the morning suffering from rapidly increasing back pain. I left a message at Physit and luckily they were able to fit me in at 8am the same day. I had several sessions over the next couple of weeks and can highly recommend Physit. When I first went to Phoebe, I felt pain in my legs and ankles after walking just 20 minutes or so, every time I went out. After some six sessions she had done her magic with a combination of physiotherapy and practical advice. Last month I found myself walking for several hours on the cliffs above the sea, with friends in Devon, and I remembered that I could not have done that walk, had I not seen her and received her healing work. It had been years since I walked so long without pain. What a gift. Suffering from a pinched nerve in my shoulder, I was in constant pain and had tingling in my hand. It also caused lack of sleep as I woke frequently to change position and relieve it. I had 5 sessions with Phoebe and now seldom feel any symptoms. To complement the sessions, Phoebe gave me exercises & lifestyle advice, and explained the whole process thoroughly. - David Hodgson MBA, Capital Consult Ltd. I have been going to Phoebe now for about five years during which time she has treated my back, shoulder and foot. Phoebe is very thorough and always identifies the cause of the problem. Her diagnoses are spot on! She has an excellent network of consultants and other allied health practitioners to call upon should there be a need. Phoebe is a real tonic, I always feel uplifted after her treatments. I have suffered two sports injuries over the last 5 years and on both occasions have sought treatment from Phoebe Machin. While others hear, Phoebe carefully listens and as a result treats injuries appropriately, enabling a rapid return to health. Take a look at the most recent entries from our Physiotherapy blog. How can I relieve my Tension Headache? What IS a muscle Knot? And how can I make it feel better? 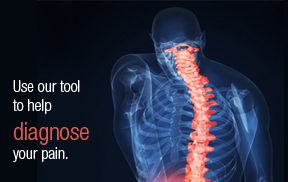 Pain in the neck? The muscles of the Head, Face and Neck. Please don't hesitate to contact us if you want to book an appointment or require further information about any of our services and how we maybe able to help you.